Healthcare providers can take advantage of SOWEGA-AHEC’s high quality continuing education programs and distance learning opportunities. The easily accessible and affordable programs ensure providers remain current in their fields and maintenance of licensure requirements. List of conferences provided by SOWEGA-AHEC. View our list of webinars and “Read More” to find more information. Accessible, affordable education for those wanting to stay on the cutting edge and retain licensure. 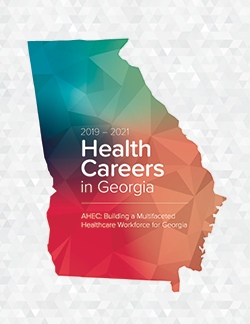 Explore healthcare organizations and current healthcare career opportunities available in Southwest Georgia region. View our list of Community Education Resources and Events. View all of our CME/CE program offerings in one convenient location. Are you a healthcare professional interested in using your skills and talents as a healthcare professional speaker in the Southwest Georgia region? Are you searching for a healthcare professional speaker? We offer conferences planning program and meeting services for online and live programs.